Neon Flash turns heads when carving around town or taking it steady on the straights. 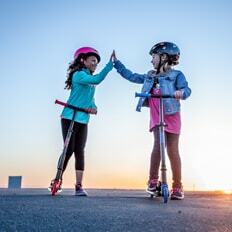 The ultimate ride for cruising the strip or pulling off tricks, this lightweight scooter is packed with power. This kids scooter gives a quiet ride and with flare. 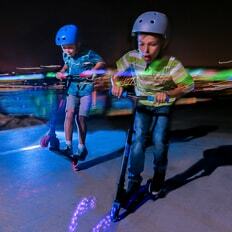 Glide in lights with our cool LED deck and motion-powered wheels. 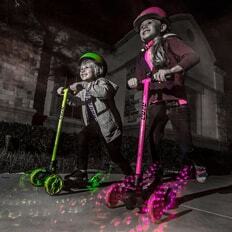 Take off in a flash with the new exciting Neon Flash kids scooter by Yvolution. 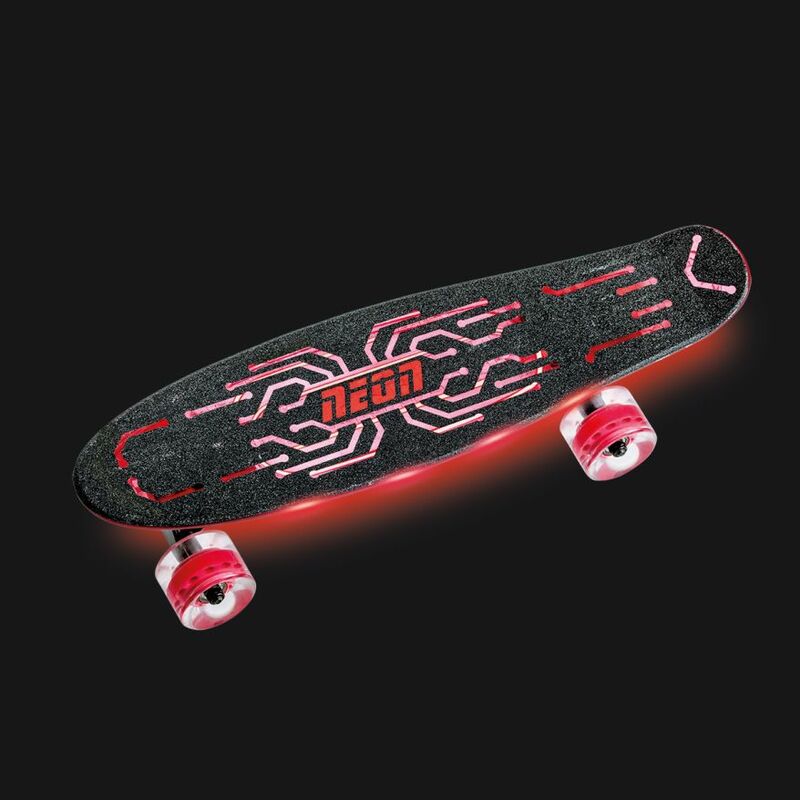 With its Reflective Deck featuring a Neon under glow, you can't help but be noticed wherever you go. 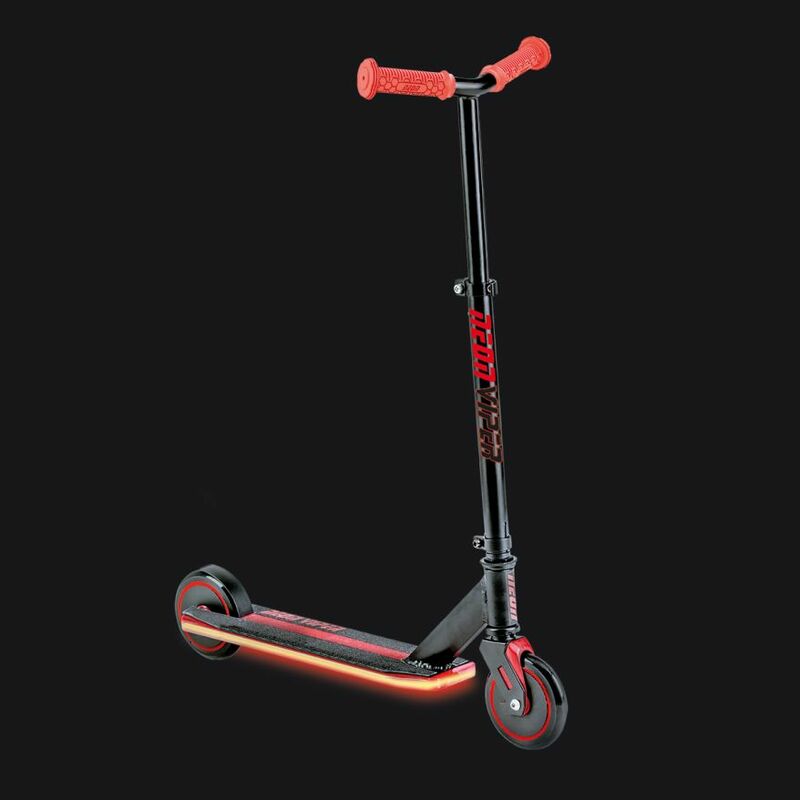 The Neon under glow is reflected onto the deck from the dynamic ultra-bright LED wheels which light up as soon as you take off. 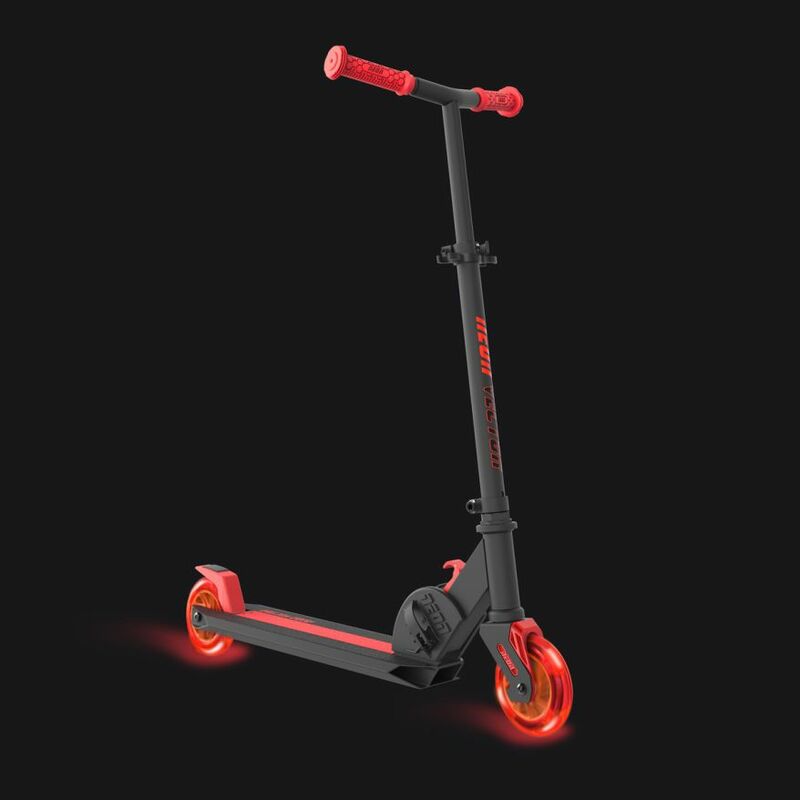 Neon Flash by Yvolution is a strong and durable scooter with a lightweight aluminium frame, perfect for quick and easy transportation. Perfect for quick and easy transportation. 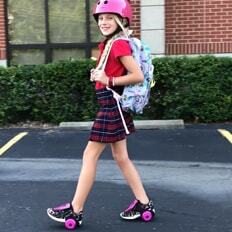 From the school gates to evening adventures, the dynamic frame and stable handling make every journey a blast. Rear brake for emergency stops.